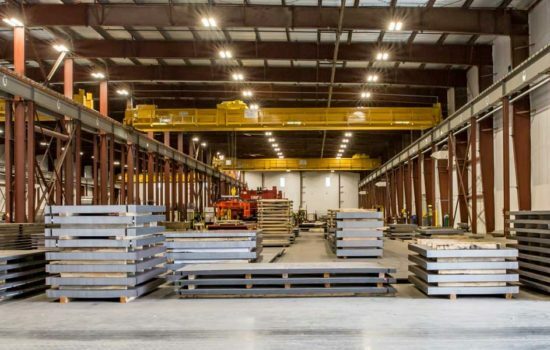 With our extensive steel inventory, we can deliver the steel you need when you need it. Most of our stock length or saw cut orders can be completed and delivered in a timely manner at competitive prices. Our product is steel, but our strength is people; come and meet our friendly, professional staff. 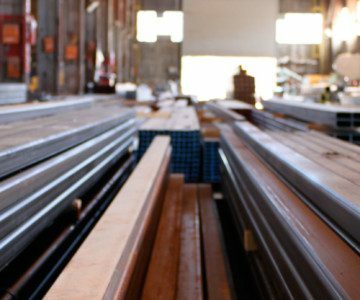 What types of steel do we sell? 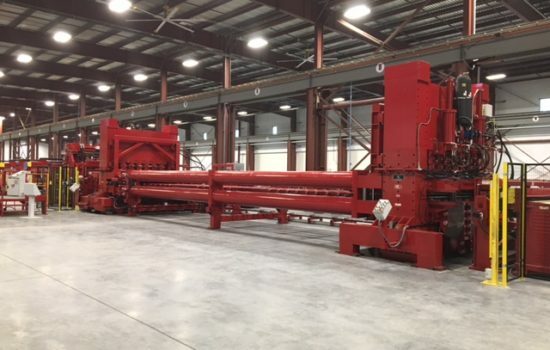 Sheet – Hot rolled, Cold rolled, Pickled & Oiled, Galvanized, Aluminum & Stainless. Download our Steel Handbook for more information on all of the steel products we sell. Where does our steel come from? 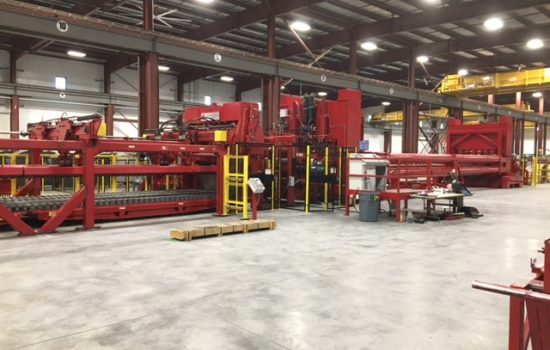 We purchase all of our steel products at US steel mills across the country. We carry and extensive range of domestic made products. This in turn reinforces our strong relationships with US steel mills – Pacific Steel & Recycling supports the Buy American effort. We sell our scrap metal back to US steel mills and in turn buy back those products for future use and sales. 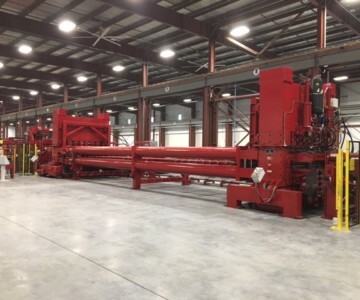 Our 100,000 square foot facility just north of Salt Lake City houses a Red Bud Industries cut to length line, with “Stretcher” technology. 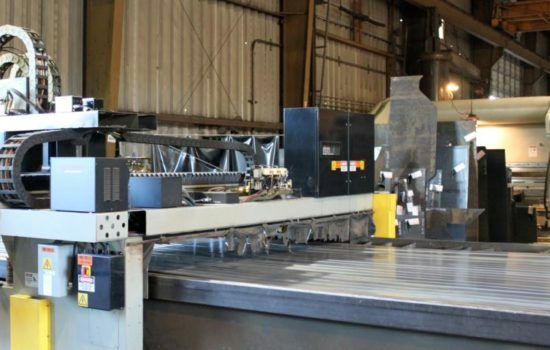 With this new state of the art technology, we have the capability of providing cut to length sheet and plate that has a flatness tolerance of laser quality. You can count on our material coming to you square and flat and remain flat when you work our steel. 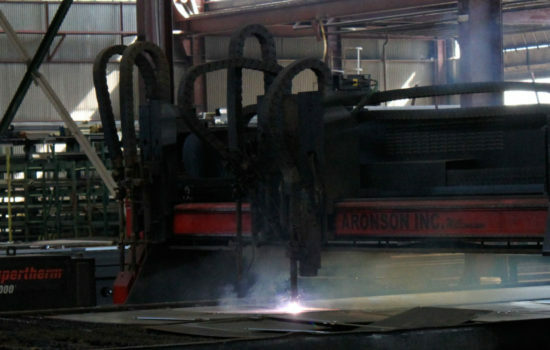 You don’t have to worry about having “Spring Back” when you laser, plasma, or torch cut our steel….we guarantee it. There is no doubt that material leveled on our Red Bud Stretcher will save you time and money. Length: 15 inches up to 600 inches. 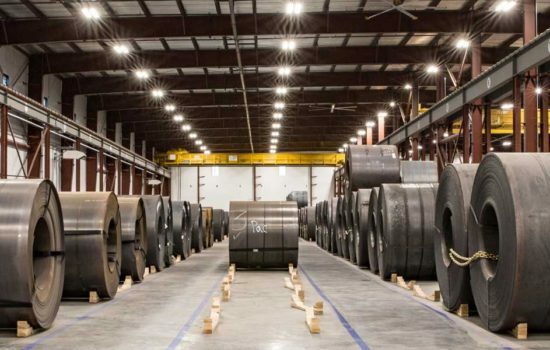 Pacific operates a number of steel service and distribution centers across the western US. With several locations, we’re capable of getting you quick access to steel for all of your projects & job sites. 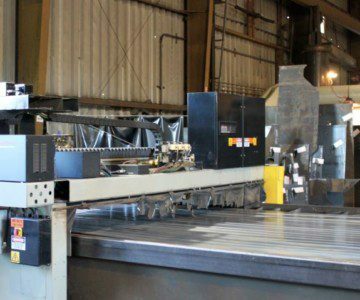 In the business world, we know time is money, and you can trust Pacific Steel & Recycling to consistently and accurately handle all of your steel orders. 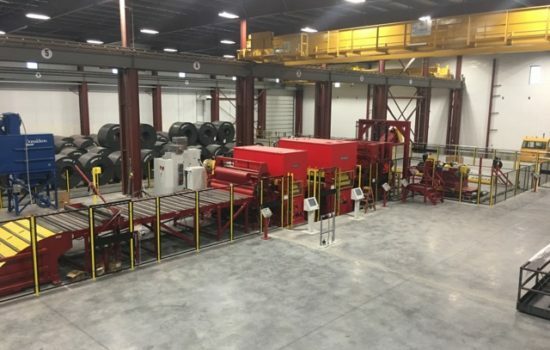 What types of processing is available? Why should I choose Pacific Steel & Recycling? Our customer service and staff will provide you with the highest level of attention to detail and quality service to ensure that your needs are met. You are our #1 priority. What kind of Service can I expect from Pacific Steel & Recycling? Each of our steel locations stocks popular shapes and sizes for the local markets, and based on your quantities, we can get any other item you need. Delivery is available for ALL steel products. We can also cut your steel to any length to help you eliminate scrap, saving you money and time. There are no jobs too large or too small. We look for a long term relationship with every sale. And with 100 years of experience, we know what long-term means. Pacific Steel & Recycling has come to represent quality and value, and our ag products are no exception. 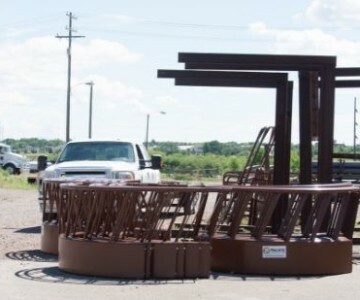 From trailer parts to bull gates and calving pens, you’ll find the highest quality and best value. Serious ranchers and farmers across the west trust Pacific Steel & Recycling to meet their needs. Not all locations carry our ag steel products on hand, so please call before you go. Please know that we can definitely meet your needs, we may just need to bring from another location. What ag products do you offer? What kind of quality can I expect from Pacific? No other product can match the superior quality and heavy-duty nature of Pacific Steel & Recycling’s top-line products. The dependability means less time spent repairing and replacing fencing and gates. We also carry a line of economy gates and fencing for those who may not need a heavy-duty application. Higher in quality than similarly priced products, this economy line will save you money as well as repair and replacement time. We have an extensive line of ornamental iron products – from a large assortment of balusters, handrails, and post tops to scrolls, shoes & zodiac signs. With all of these options, your only limitation is your imagination. We are extremely resourceful and have the connections you need to get your project done. Feel free to ask us and we can most likely help you find it. We are an employee-owned corporation with 46 branch offices in Washington, Idaho, Utah, Nevada, Wyoming, South Dakota, North Dakota, Colorado, Montana, and Alberta, Canada. We are driven by the desire to develop long-term, successful relationships with our customers, vendors, employees, communities and the mills, treating each as a vital business partner. Realizing the full potential of this vision will result in a thriving business that will leave a legacy of achievement not only for future employees but for customers and other business partners as well. Throughout our 120 year history we have always made service our main focus. Every one of our employee/owners is dedicated to serving the needs of our countless customers. Whether that be a decades long relationship or a brand new one, we sincerely thank you for your business. View our fully interactive map of all of our locations. Find phone numbers, hours and get directions to a facility near you.